Microsoft filed its annual Form 10-K with the Securities and Exchange Commission (SEC) today, revealing that the Microsoft Surface lineup has garnered only $853 million in revenue for the company, which is less than the recent $900 million writedown the company took for the Surface RT. And as GeekWire notes, it's also less than the "$898 million increase in advertising costs associated primarily with Windows 8 and Surface.” The numbers account for all Surfaces sold from the device's original fall launch until the end of Microsoft's fiscal year on June 30. Late last week, Microsoft CEO Steve Ballmer told employees at an internal Microsoft town hall meeting that the company had "built more devices than [Microsoft] could sell" in reference to slowing Surface sales. Recently, Microsoft has been trying to sell more devices by aggressively marketing the Surface RT as an iPad competitor with negative ads and was forced to drop the price of its Surface RT prices by $150. Despite the slow sales of the Surface tablets, Microsoft is said to be pushing forward with plans for a second generation tablet. That's what happens when you release a s*** product. Siri: 14.6 Million in Q3 of 2013. Surface: I'm sorry I can't do that. Except it really isn't a #$%& product. That's 1.7 million more than I expected. So I guess I'm reading this as good news for Microsoft! 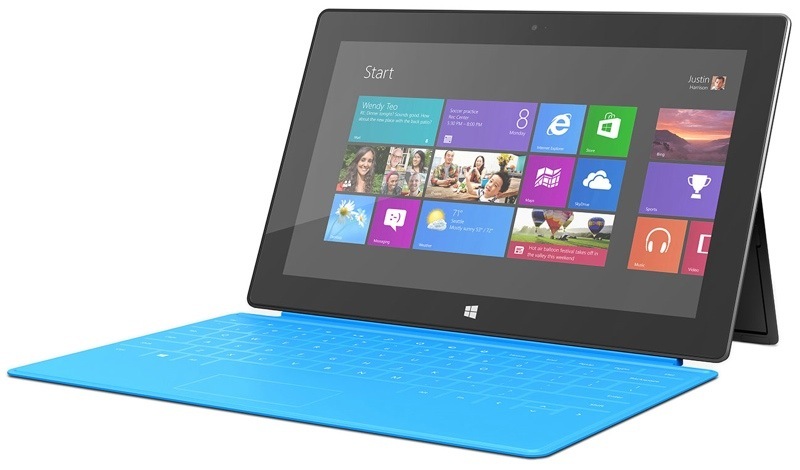 Microsoft Surface is actually a pretty good product ... better than Android or even iOS in some respects. I think the failure has more to do with marketing - the confusion between RT and Pro. Also, forcing consumers to use Windows 8 on the desktop did help to engender good will. Lack of developer support didn't help. Partnering with Nokia (a dying phone company) to produce a line of bum phones didn't help Microsoft's image either. "When sales guys run the company, the product guys don't matter so much, and a lot of them turn off. It happened at Apple ... and happened when Ballmer took over Microsoft ... I don't think anything will change at Microsoft as long as Ballmer is running it." Given the available alternatives and my evaluation of about 7 different Windows tablets: Yes it is. And the market agrees. Not that I'm complaining. As long as Ballmer is CEO, that's one less competitor for Apple. ...which isn't really good for anybody except Apple's staff and shareholders. Competition is what makes companies give it their best, not monopolies. People are saying the Surface is a good product, but it's still Windows! The problem though is that Microsoft was late to the party with tablets - and with a low marketshare as a result of this they won't have many developers making apps for them. With no apps, few will buy the tablet. With few buying it, it will have a low marketshare... and so the paradox continues. It wasn't just being late to the tablet market... Apple had groomed consumers with the iPod for years before the iPhone, and then along comes the iPad and it was a natural extension and expectation. Microsoft never had that luxury/smarts. Every single person I know has at least one major horror story using a windows computer. Why would they ever want to spend that much on a tablet version of it? The reputation to windows with consumers is.. well a crappy experience. Does not matter how many BILLIONS of dollars is spent by microsoft, that reputation of Windows is forever it's legacy.